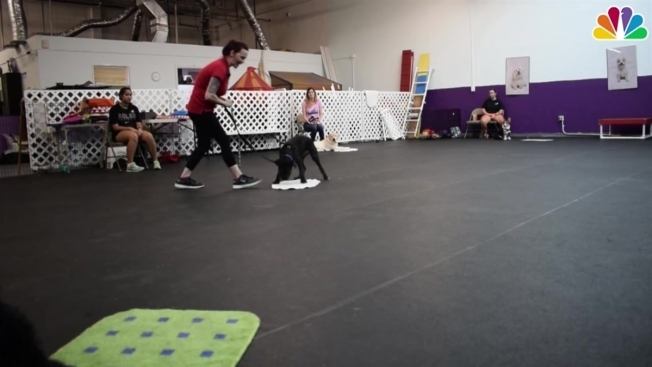 When it comes to training canines, one South Florida-based dog trainer says it's less about teaching the dog and more about focusing on the pet parent. Holly Blakney is a trainer at Dog Training Academy of South Florida, which offers obedience, agility, trick and therapy dog classes. She says most of her clients attend classes with specific requests, such as teaching the dog to respond to a command like "sit." However, if dog owners aren’t planning to use commands daily, it might not be worth teaching them, Blakney said. She recommends using training to teach the dog everyday skills. "When they’re coming in, we want to make sure we’re training the people to train the dogs," Blakney said. "And make sure they know how to communicate with the dog." 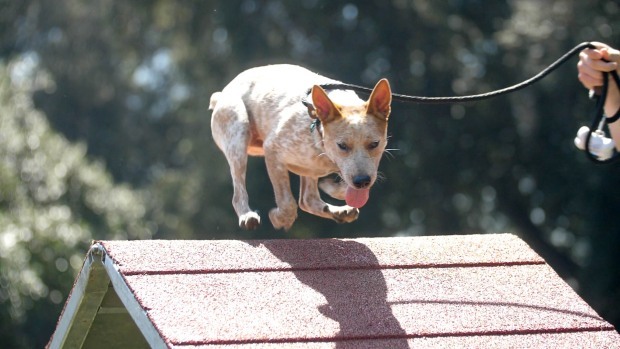 Blakney says dogs can be trained by their owners at home, though she notes that its helpful to implement some variation of training because of the socialization element of formal classes. She has experience working with shelter dogs and suggested that some dogs that end up in shelters are there due to behavioral issues caused by inadequate training. "Part of the reason a lot of dogs might end up in a shelter is because people are having a hard time living with the dog," Blakney said. "We work on obedience, but I really want to teach them how to live with the dog." Shelters are among the best places to pick new dogs, Blakney said, because you get a sense of the dog’s actual personality. And that can be helpful when it comes to training. She also says there is no "best time" to start training your dog. Canines are able to learn new skills throughout their lives. Nonetheless, Blakney recommends being patient when picking a shelter pet. Selecting a dog with a personality that meets specific wants and needs will prove to be beneficial as the dog develops new habits, she said. "If you don’t get those butterflies in your stomach when you meet a dog, it’s OK," Blakney said. "You don’t have to feel bad and take a dog to take a dog. Find something that’s going to match your personality and that you can work with."